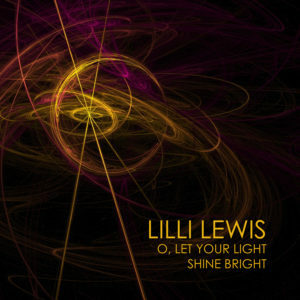 With vocals said to have “enough energy to power a large city, Lilli Lewis is a singer, pianist, and composer of rare grace and grit. Paired with a love for music that began before she composed her first song on the piano at age three, her progressive, provocative, and conscientious presence is fueled by a boundless appetite for poetry and rhythm. 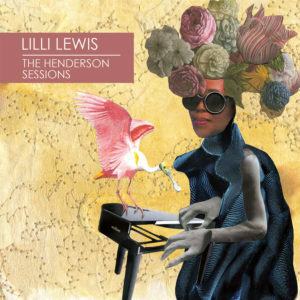 Whether looping solo a cappella as “a one woman Sweet Honey in the Rock,” throwing down with full on soul psychedelica, the Athens, Georgia native has the power to stir even the stiffest listener. Even though she was born to a Baptist minister in the deep south, Lewis grew up studying classical music, spending countless hours at the piano decoding Brahms and Beethoven well into the late hours of the night. She also knew she loved to sing from a very early age, and her near obsession with harmony led to early experiments in recording and overdubbing her voice to analog tape, a practice that ultimately made her a 2008 NewSong Competition regional finalist, and the A Cappella Recording Awards 2009 runner-up for best world-folk album, a title she shared with the Grammy Award winning Ladysmith Black Mambazo. 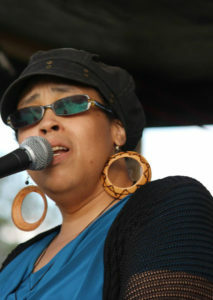 It was upon her first hearing of the earthy a cappella ensemble Sweet Honey in the Rock as a young teenager that Lewis determined she would have a musical story to tell outside of the world of classical music.